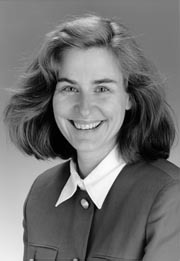 Dr. Pamela Whitten is Assistant Professor in the Department of Telecommunication at Michigan State University. In 1985, she received her BSM at Tulane University, New Orleans, 1986 her M.A. at Unversity of Kentucky, Lexington, KY, and in 1996 a PhD in Technology & Communication at University of Kansas, Lawrence, KS. Dr. Whitten's professional experience is very impressive. She began as a teaching assistant at the University of Kentucky. Then worked as an instructor at the University of Louisville and in West Germany at the University of Maryland. She changed industries and began working in Merchants Bank & Trust as an internal communications manager. She continued in the communications profession at Southern Regional Medical Center in Georgia. She continued teaching at various colleges before taking the position of Director of Telemedicine and Assistant Professor at the Unversity of Kansas Medical Center. Currently Dr. Whitten is at Michigan State University as an Assistant Professor in the Department of Telecommunications. She has published over 30 articles on Telemedicine. She belongs to several organizations. American Telemedicine Association (Board of Directors), International Communication Association, Academy of Management, National Communication Association, and American Telemedicine Service Providers. Extant reimbursement mechanisms are an additional constraint facing hospice providers. Typically, patients use either private insurers or the Medicare Hospice Benefit to supplement costs. With the Medicare plan, programs receive a predetermined per diem fee of about $100 per day, per patient. (6) Therefore, hospice programs find themselves in the untenable position of balancing the provision of quality care while attempting to minimize the costs. The majority of caregiver expenses come from on-site visits, (8) which result in traveling time and traveling costs. Hospice of Michigan launched telehospice project using POTS (plain old telephone service) technology to reach rural underserved populations and those urban groups that have gone without services. Hospice of Michigan was chosen based upon their statewide presence, reputation for high-quality services, and enthusiasm for trying an innovative solution for access problems their client's face. Telemedicine units are placed at the hospice office base stations and the homes of nurse providers for on call use. At any given time, forty clients from rural and urban homes in each state have units. Home-based telemedicine units are utilized to link hospice care teams (nurses, social workers, and chaplains) with hospice clients and family caregivers. Tele-nursing visits are conducted on a weekly basis at a minimum, with frequency of calls determined by individual patient needs. Pain and symptom assessments and psychospiritual evaluations are also conducted electronically. Social workers initiate tele-visits for initial intake assessments, counseling of patients and for support of caregivers prior to death and in the bereavement period. Education of physicians and nurses in end-of-life care is essential if we are to improve care for the dying. (10,11,12) Currently, an education network for the EPEC curriculum is being developed in Michigan. During the second year of the project, the EPEC course will be offered to sites jointly in Kansas and Michigan via interactive video every four months. The primary goal of Telehospice is to improve care through the dying process. To assess whether the goal is met, the researchers are evaluating access of services, medical outcomes and costs. Access and Delivery. Telemedicine has the potential to allow access to hospice care electronically, connecting clients and providers that are separated either geographically (rural) or functionally (urban). For the rural population, even when hospice is needed, the small patient base may not justify the existence of local providers. Thus, distance separates clients and providers. Access issues also exist for urban populations that are unable to receive hospice care due to limited financial resources, inadequate education, lack of family support, or cultural factors. This project is monitoring utilization of services and compares data collected before and during the study period. In addition, an analysis of the optimal delivery including roles and responsibilities for hospice providers are conducted. Timeliness of care is also analyzed, comparing immediate teleconsultation with traditional in-person visits. Medical Outcomes A major focus of study is the quality of care and medical outcomes. Assessing a patient's level of pain is one tool used in hospice care to determine whether a dying patient's medical needs are being met. Pain evaluations are conducted by looking at diagnostic accuracy and timeliness, comparing traditional with telemedical assessments. Standard pain assessment tools, previously validated, are adapted for telemedicine evaluations. (13) Patient and caregiver satisfaction and perceptions of quality of care received via telemedicine are also studied. Cost. Although improved access to end-of-life care is the primary goal of this project, secondary goals include more timely evaluation of clients, enhanced care resulting from more frequent (electronic) visits, and reduction of costs. Since the primary payer for hospice is through a Medicare capitated fee system, telemedicine offers real potential for cost reduction by decreasing travel time and expenses related to in-person visits. Detailed cost data for home telemedicine are lacking. (14) A cost-measurement analysis will be performed including a detailed accounting of equipment expenditures, client and caregiver costs, and personnel time and expenses. These data are compared with medical outcomes to generate a true cost-effectiveness evaluation. This Telehospice project will make an important contribution to the field of home health by advancing the level of knowledge in four significant ways. First, it will provide important lessons about the ubiquity, reliability, and timeliness of telecommunication technologies to deliver critical medical services directly into patients' homes. Second, it will tell us whether telemedicine can positively affect the home health field that is currently in disarray due to its inability to cost-effectively reach many patients needing its services. Third, it will demonstrate whether telemedicine can be used to overcome barriers to access in urban and rural areas. Finally, it will provide data, which will enable future providers throughout the country to easily incorporate telehospice services into their service mix. Traditionally, hospice care is praised for its focus on emotional, psychological, spiritual, and social support. Developing interpersonal relationships is a salient part of this approach. This project examines the utility of technology as a communication tool in a highly interpersonal environment. By utilizing two states, Kansas and Michigan, this project offers practitioners and researchers an opportunity to assess the quality of end-of-life from a population base larger than any previously conducted study. The highly rural nature of Kansas in comparison with the urban areas of Michigan offers an environment for comparative inquiry. Comparisons may further be made concerning the demographic make-up of these states. Hospice of Michigan (HOM) serves diverse Latino, Arab, and African American minority populations. Hospice Inc. in Kansas extends statewide services to a population base of only 8% minorities. Importantly, both organizations have extensive networks that reach both rural and urban communities. Telehospice will still provide traditional hospice services, however, telehospice allows patients and caregivers to quickly communicate with members of the hospice care team. The ultimate goal of Telehospice is to bolster the hospice philosophy of care, while allowing patients to remain in the familiar surroundings and comforts of their home. 1. Devito R. Hospice and Managed Care: The New Frontier. The American Journal of Hospice and Palliative Care. 1995; 12(4):2. 2. Rahman F. An Alternative to Kevorkian's Prescription. The Wall Street Journal. 1995; November: A4. 3. Rhymes J. Hospice Care in America. Journal of the American Medical Association. 1990; 264(3): 369-372. 4. Gates R. Throw "Hospice" Out the Window. The American Journal of Hospice and Palliative Care. 1993; 10(2): 4. 5. Mango J. The Hospice Concept of Care: Facing the 1990s. Death Studies. 1990; 14: 109-119. 6. Von Gunten CF, Johnson-Neely K, Martinez J. Hospice and Palliative Care: Program Needs and Academic Issues. Oncology. 1996; 10(7): 1070-1080. 7. Miller KE, Miller MM, Single N: The Hospice Journal. 1997; 12(4): 29-41. 8. Doolittle G, Clemens C, Yaezel A, et al: Enhancing Hospice Care by "Making Connection": Hospice Care Using Home-Based Telemedicine Systems. The Hospice Journal. 1998; submitted for publication. 9. Doolittle GC, Yaezel A, Otto F and Clemens C. Hospice Care Using Home Based Telemedicine Systems. Journal of Telemedicine and Telecare 1998; 4(1): 58-59. 10. Field, Marilyn J and C Cassel. Approaching Death: Improving Care at the End of Life Institute of Medicine. Washington, D.C.: National Academy Press, 1997. 11. Greer DS, Mor V. An overview of National Hospice Study Findings. Journal of Chronic Diseases 1986; 39: 5-7. 12. Billings, J Andrew and Block, Susan. "Palliative Care in Undergraduate Medical Education. JAMA 1995; 278(9): 733-738. 13. Fishman B et al. The Memorial pain assessment card. A valid instrument for the evaluation of cancer pain. Cancer 1987; 60: 1151-8. 14. Field Marilyn J. Telemedicine: A Guide to Assessing Telecommunication in Health Care. Institute of Medicine. Washington, D.C.: National Academy Press, 1996: 179. This week HealthBond will publish an End-of-Life series focusing on expert professionals in various segments of end-of-life care. Our goal is to communicate what others are and have done in their respective fields. HealthBond would like to highlight - On Our Own Terms: Moyers on Dying. A four part series on end-of-life issues, airing on most public television stations September 10, 11, 12 and 13, 2000 at 9:00 PM ET. I am glad to see this study taking place. I have a young family member who is dying of cancer and lives in a rural area. Having suggested hospice to my family and working through the hospice image of death, my family agreed after 4 months. I was very shocked to learn that hospice did not cover this area. I think telehospice will be able to reach many people in need. I also think the Internet will play a huge role, if it is not already by connecting people who are experiencing similar situations a virtual place to share thoughts and feelings. Chat and discussion areas that are in reality support groups. My family has access to the Internet and this has made all the difference in the world. Look forward to seeing telehospice grow - it will serve many who need it.